Articles for January 2011 Year » SoftLab-Portable.com - Portable Soft! Unique tool for burning Data Storage, AudioCD and DVD-Video (or miniDVD) discs. Supporting of SCSI, ATAPI, Parallel port, USB (1.1 and 2.0) and FireWire (IEEE 1394) devices. Supporting of CD-R(W) and DVD±R(W) discs of any capacities. At burning AudioCD discs are supporting of MP3, WMA (if codec is installed) OGG files (if codec is installed) and WAV files. 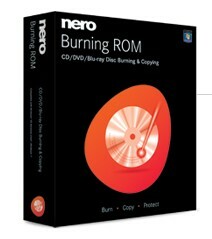 Supporting of burning multisessional and bootable CD/DVD discs. Supporting of burning discs with technologies PerformOPC and UnderrunProtection. Uninstall Gold is system software designed to remove remnants of unneeded programs on personal computer. Normally, Uninstall Gold scans personal computer and shows all found files, folders and registry items for users to find the desired programs to uninstall. Unlike other uninstall software, Uninstall Gold can remove unneeded program completely, even the remnants of folders or broken registry keys. 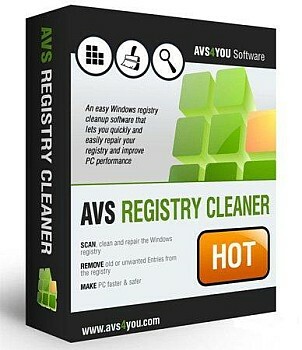 It's more convenient, faster and secure for users to clean their computer. Still, Uninstall Gold offers some hotkeys for users to operate easily and fast. Its built-in Startup items make users know more about the programs that are automatically started by Windows. Wondershare DVD Ripper Platinum is the first and best DVD Ripper software that supports almost all portable video/audio players. It lets you easily rip DVD to Video iPod, Zune, iPhone, Apple TV, PSP, Xbox 360, PS3, Archos, iRiver PMP Player, Creative Zen, PMP, MP4/MP3 Player, Smart Phone, Pocket PC, PDA, Mobile Phone and so on. Wondershare DVD Ripper Platinum can perfectly convert/rip DVD movies with no loss of Image & Sound quality. Compared with other DVD Ripper software, it has more settings you can customize, such as customize file size, trim and crop DVD movies, and even join several DVD chapters/titles into one file. Informatik Image Markup allows you to make changes to graphics files such as single or multipage TIFF, or JPEG, PNG, GIF, or BMP. For example, you Download Imagistik Markupcan make text annotations and notes, hide text, highlight text, make drawing, add arrows, lines, boxes, add watermarks, text bubbles, and more. Requires Microsoft .Net 2.0. The easy-to-use interface makes it a snap to stay informed with the latest news and information. You can completely customize the way feeds are organized and displayed. Set up custom news watches based on keywords or use the powerful search to find articles. You can even download podcasts and audio files and have them show up on your portable audio device. The software is pre-configured with dozens of feeds, so you can unleash the power of RSS right away. Scan, clean and fix your PC Windows registry. Remove obsolete, harmful or unused items from the registry. Make your PC operate safe and fast. Scan different registry categories like uninstalled entries, shared DLL's, COM/ActiveX, file extensions, etc. Remove incorrect data that slow down your computer. Remove Junk Files from Your PC. Detect and delete temporary Internet files, corrupted applications, trash files in the recycle bin, etc. Make Registry Backup within Seconds. Make a backup of the files for maximum safety. No crucial registry entries are removed! Strong Program Compatibility. It is compatible with office-, graphics-, anti-virus- and other software installed on your PC.